Quentin Tarantino says that he has no intentions of becoming an “old director,” which means our time seeing new work from the iconic mind behind Pulp Fiction, Inglourious Basterds, and Django Unchained is likely coming to an end. Now that he’s set his ten film cap, the question everyone wants answered is what exactly will Tarantino’s last couple films be about. He’s basically ruled out Kill Bill 3, but there have been talks of a film to make a trilogy out of Inglourious Basterds and Django Unchained. There’s also the popular rumour of a Pulp Fiction prequel, Vega Brothers. I was recently at a film festival in Oxford, Mississippi where Roger Avary, Tarantino’s co-writer on Reservoir Dogs and Pulp Fiction, was speaking about his recent screenwriting projects. At one point Avary addressed whether he thought Vega Brothers was ever going to happen. He said he doubts the film will ever come together, but he didn’t shut the door on the possibility. Check out he full quote from Avary below. (Tarantino’s) mind is working at an accelerated rate. So he’ll have ideas for movies and burn them out within himself and then not need to make them. So I’m guessing (laughs). Movies are like hot air balloons. You start filling them with hot air and hopefully it takes off but sometimes they don’t. Although it doesn’t sound like Avary is too confident that Vega Brothers will happen, he also seemed very careful to not say anything absolute, meaning fans who’ve been hoping for the film don’t have to give up quite yet. Avary also shared a bit about the process of putting the Oscar-winning screenplay for Pulp Fiction together with Tarantino. It turns out that the film was originally just a collection of the best, unrelated scenes the two had ever written. There’s also a chance that the film may have never been made if it weren’t for the Weinstein brothers. Check out that full story below. We just took all the best scenes we had ever written, and we packed them up, and we went to Amsterdam. Quentin rented this apartment, and we laid them out on the floor and basically just started moving them around… Our one requirement was that every scene should be able to stand on its own and be able to be performed in an acting class. A couple of actors should be able to do it together and it should be contained that way. No establishing shots… No wasted space, no traveling here and there, just no fat. It had to be the best material we had written to that point. Thank god for Harvey and Bob Weinstein who immediately picked it up out of turnaround and gave Quentin the power to make the script as it was. Not a single thing was really changed. Some things were removed, there were a couple of scenes that were taken out in editing, but truth be told, Quentin was given complete and total command to make that movie exactly as he sees it in his head. That’s a gift to be given that. I’m really grateful to Harvey and Bob for that. Since then, I’ve bumped into those executives who were in that room (at TriStar) and each one tells me ‘I was the one fighting for you. I was the one guy in the room fighting for you, fighting for that brilliant script.’ The only guy who was really honest about it was Mike Medavoy who was running TriStar at the time. I met with him later on and he actually said, ‘I made a mistake. I got to tell you, it was a weird time in my life, I didn’t really understand it. It just read very violent… And I was wrong.’ And that’s rare. I so deeply respect Mike Medavoy… It’s a real testament to him that someone in Hollywood would say ‘I was wrong’ because that never happens. Who knew that the magic of Tarantino is best created when he’s holed up in an Amsterdam apartment? Although Tarantino’s last two films are my personal favorites, the films he did with Avary were equally as brilliant. Maybe the two will re-team one last time for one of Tarantino’s last films. We can always hope. What do you think of Avary saying Vega Brothers likely won’t come together? 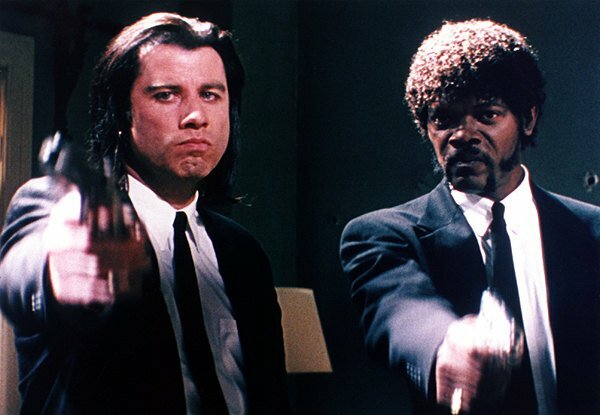 Are you still holding out hope that Tarantino does a Pulp Fiction prequel or would you rather the story be left alone? What do you think of the duo’s writing process? Share your thoughts in the comments section below.